The first show to sell out at the 2011 Savannah Music Festival was the March 24 performance by the R&B powerhouse Sharon Jones & the Dap–Kings. Which just goes to show you, some things never go out of style. Inspired by the classic soul and funk recordings of the 1960s and early ‘70s, the eight–member band plays it sharp and tight, with thick grooves, chunky electric guitar and a punctuating horn section that’s got a ferocious bite. Jones is a seriously soulful vocalist with tremendous emotional range. Born in Augusta (that’s James Brown’s hometown, y’all), she was 3 when he mother moved the family to New York. But Jones (“I am a Southerner,” she says proudly) spent almost all of her childhood summers in Georgia. Not long ago, she moved her mother into a house in South Carolina, just across the Savannah River from Augusta. It wasn’t an easy road. Although Jones has been singing since she can remember, success eluded her until the late 1990s. In New York she drove a Wells Fargo armored car, and for many years was a prison guard at C–74, the adolescent offenders’ block at Rikers Island penitentiary. Through her years as a part–time studio backup vocalist, she made the acquaintance of Gabriel Roth & Neal Sugarman, founders of the Brooklyn–based indie label Daptone Records. The studio house band became the Dap–Kings. All of the Jones/Dap–Kings albums – from Dap Dippin’ in 2001 to the recent I Learned the Hard Way – have been recorded in the old–school fashion on analog (not digital) studio equipment, utilizing vintage instruments and amplifiers. Don’t call it “retro,” however, unless you’re ready for a good dressing–down from Sharon. This is music you grew up singing all your life. Does it bother you when people refer to it as “retro”? Sharon Jones: I tell people, there ain’t nothing retro about me. To me, retro is some young person out here trying to imitate and sound like some soul singer. I ain’t no young child trying to sound like somebody way back when! If you admire my singing because it reminds you of James Brown, Otis Redding, Ike and Tina Turner or something like that, then yes, ain’t nothing wrong with me reminding you. But I ain’t trying to sound like nobody. I’m Sharon Jones, and I’m 55 years old. And what’s retro about a 55 year–old? That’s why you don’t see us up for no Grammys or awards. They need to have an award for soul music. And they also need to have an award for independent labels, or some category. They can make something up. Sharon Jones & the Dap–Kings are not getting recognized. They say “Soul music is from the ‘60s, and it’s gone. Those people died out, so there is no more soul music.” And then I read where one guy said “Soul music is people singing about struggling.” That’s bullcrap! That’s craziness. It took a few years for you to become successful. How frustrated were you over those years? 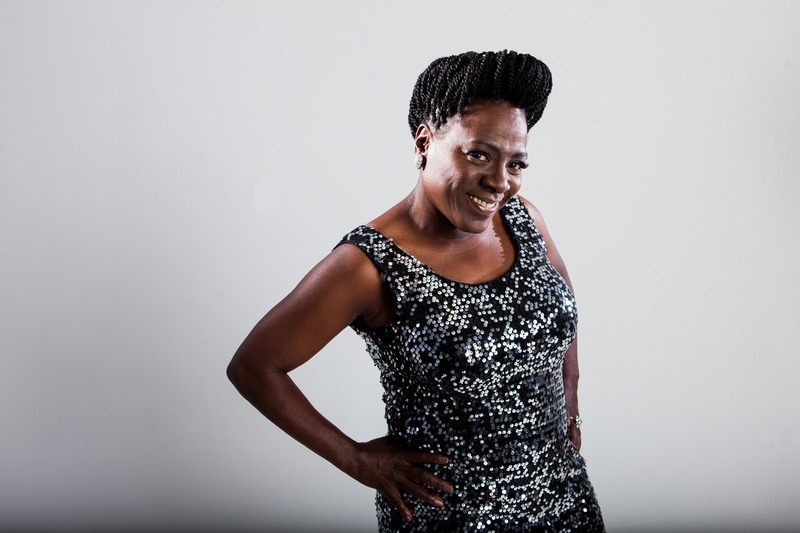 Sharon Jones: When they wouldn’t accept me at this label or that, I just kept myself busy. Never stopped singing, whether it was with the church choir, or doing studio work, stuff like that. And that’s how I got with the Dap–Kings — my ex was working with these guys, and they were putting these records together, trying to sound like they were made back in the ‘60s. I was “Say what? Get out of here!” They were these young white boys adding some Afro–beat stuff, and every time I heard it I thought that’s cool, you know, the Daktari beat. They wanted three background girl singers. I was like “Why use three? I can do all three parts.” And I went in and did it, and it was right down my alley. And nobody looked at me and said “You are too old,” or “You don’t have what we’re looking for.” They were grateful. They said “Say something to this music!” and I made something up, and that’s what it’s all about. That’s soul music. You hear good music, you hear a groove and you sing soul. If it was retro, these guys would get some young singers in and try to teach them how to sing these songs to sound soulful. The Dap–Kings write the music and lyrics — give me the music, the lyrics, and I sing it the way I think it should sound to this music. Is it gratifying to find your music accepted and loved all over the world? Sharon Jones: Yes, especially in Australia, and in a lot of European places, where you know there’s not that soul music over there whatsoever. I get that a lot. And I love the reaction. I think that’s why I like to react with the audience. The new artists go out and they have all these 50,000 lights and smoke, and dirty dancers running across the stage half–naked … me, the less stuff you have running across the stage, the less lights and smoke, the people get to see … They get to feel it, you know? Keeping it that old–school way. I like to show them how to do the Boogaloo, the Funky Chicken, you know? I know those dances run out, but what else can I do? That’s my show, that’s what I do. Can you see this growing and growing? Sharon Jones: That’s what I want. It’s a record label, we’re musicians. It’s like Berry Gordy from Motown, and the head of Stax, and whoever was in charge of Atlantic, all these labels … we started this label, this is our job, this is our life. And in years to come, when I decide to stop singing, I want to be able to go out and produce, and find some young soul singers. Continue to keep the soul music alive — not just stop, and then everybody starts doing pop, and rap, and all this other. Just try to keep it where it is, and find talent to come to your label. You other labels, y’all keep doing what you’re doing, ain’t nobody stopping you. Nobody’s saying what y’all are doing is wrong; ain’t nobody trying to stop y’all. Make your millions and go on and do what you been doing. But we just want to do the same thing. I think we can make millions too. With me, I don’t know if I’ll be able to see millions, but I just got this house for my moms and family, and I’d like to get ME a home. I want to get a personal life right now.